Scott Dudelson/Getty Images for CoachellaSelena Gomez is back. You can watch fan-shot video of the performance on YouTube. 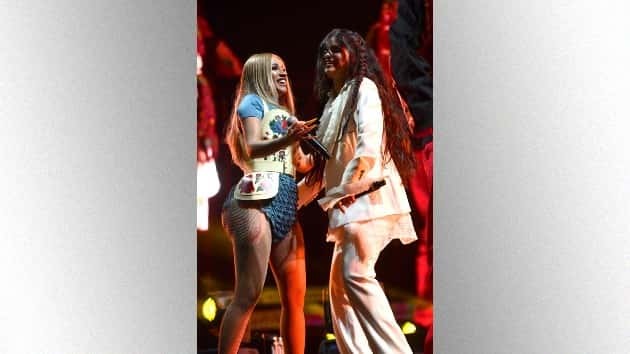 Cardi B posted a photo on her Instagram story of Selena, Snake and herself with the caption “Coachella and I love them.” There’s also video of the trio. On April 25, Selena will appear at California’s WE Day, a youth empowerment event she’s been participating in for the past seven years. She also has a new film, The Dead Don’t Die, which will premiere at the Cannes Film Festival next month.